Shortly after the announcement of the Apple Mac Pro at WWDC 2013 and its recent release, a clever modder from Germany has made his own DIY version of the MacPro… from a trashcan! 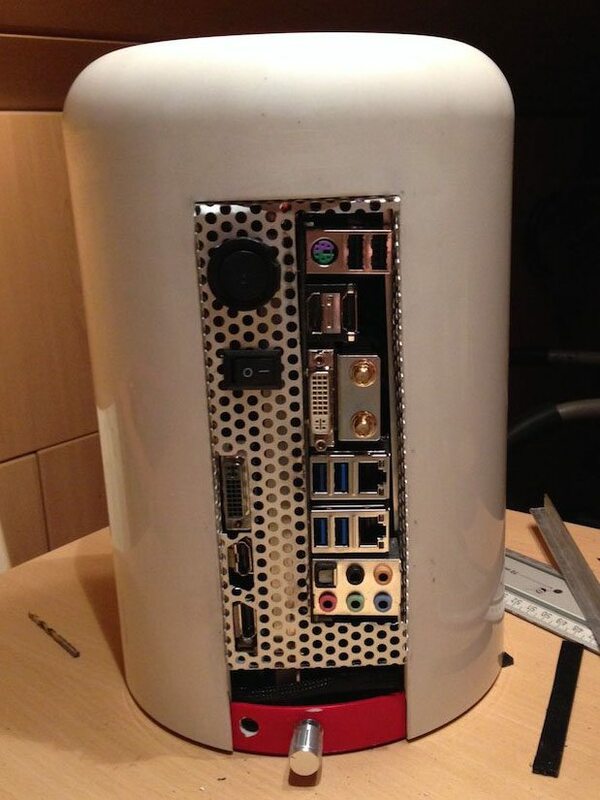 The result of this DIY project looks much like the original Mac Pro. The body of the so-called “Hackintosh” is very similar to the real deal and even the dimensions almost match up. To put it all into perspective, the DIY version is 10.23 inches (26cm) tall and has a diameter of 7.08 inches (18cm), compared to the original which is 9.9 inches (25.1cm) tall and 6.6 inches (16.7cm) in diameter. Pretty close! Unfortunately, other specs, such as the amount of RAM, haven’t been specified. The trashcan, which acts as the body of the build, costs roughly $50, has been bought my the the German modder sascha288 on Amazon, later to be stuffed with the hardware, which was specifically chosen to fit within the trashcan. Just like its bigger brother, the Mac Pro replica has all the connectors and ports on the back of the plastic body (although not back-lid). If you like the design of the Mac Pro but can’t really afford it, you should consider doing something similar! 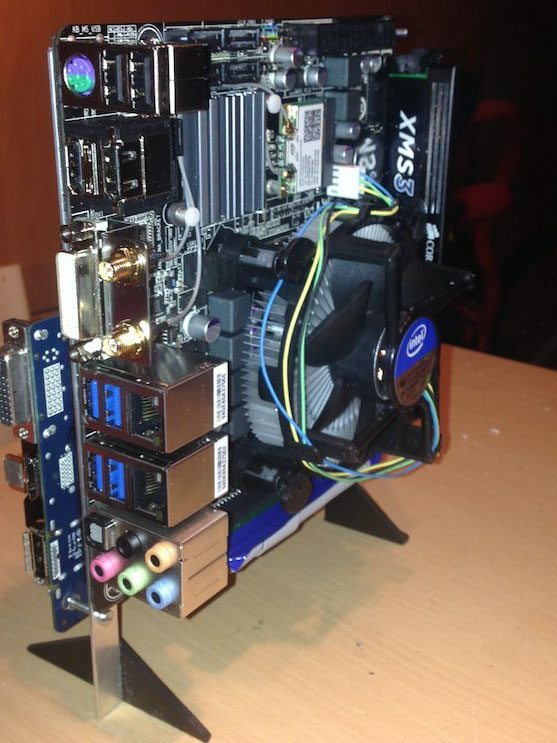 In case you build a DIY Mac Pro like this please contact us and show us your amazing work!